ALLIANCE IN MOTION GLOBAL, INC. is a marketing company established in March 2006. It is located at Units 301, 319 and 320 AIC Burgundy Empire Tower, cor. Garnet & Sapphire Sts., Ortigas Center, Pasig City, Philippines. In almost 4 years of operation, Alliance In Motion Global, Inc. has established its presence strategically in different regions in the country. At present, it has 87 Business Centers and 94 Satellite Offices nationwide. Alliance In Motion Global Inc. is conceptualized to provide unmatched quality distribution of exceptional products and services through a combination of advanced technology, distinctive marketing strategies, excellent product lines and exemplary leadership that secures the success of the company. A pro-distributor concept that sets trend on distributors' extravagant packages such as transferrable scholarships, free or discounted medical services, insurance package and world class quality products. As a "PRO-DISTRIBUTOR" marketing company, Alliance In Motion Global, Inc. is devoted to providing its distributors a brighter future. It gives paramount importance in helping them achieve their dreams. In line with this, the company has made a strong alliance with more than 300 schools, clinics and hospitals nationwide through its scholarship and medical programs providing distributors and their families affordable, quality education and medical services. 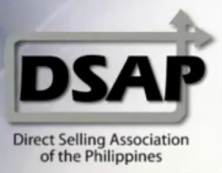 Alliance In Motion Global Inc. is the only multi-level marketing company accredited by Natures Way, Utah , USA as its exclusive product distributor in the Philippines and other countries in the world. With its phenomenal sales contribution through its dynamic product line, the industry recognized and awarded its products with 5 achievement awards from entities engaged with product leadership and excellence in the country.